THE GRAVE AND HEADSTONE OVER THE BURIAL PLOT OF COLONEL WILLIAM WALLER VC, 25TH BOMBAY NATIVE INFANTRY, HAS BEEN REFURBISHED IN LOCKSBROOK CEMETERY, BATH. The grave and headstone over the burial plot of Colonel William Waller VC has been completely refurbished in Locksbrook Cemetery, Bath. Once again local Bristol man Stephen Jackson has undertaken the task of refurbishing another VC grave which entailed removing all the stonework and sending it to a monumental mason for repair and cleaning, reseating the ground base, and replacing the cleaned headstone and kerbing. The work was carried out over a four month period from August to December 2008. After the capture of Calpee the Central India Field Force had achieved its objectives and was to be broken up on the 1st June 1858, part of the force being sent to Jhansi and the rest to Gwalior. However, it became clear that the mutineering Scindia had lost control of his forces and had fled to Agra. With Gwalior now under the control of Tantia and the Rani the situation in Central India could revert to to chaos and it became imperative that Gwalior should be taken as soon as possible. [ London Gazette, 25 February 1862 ], Gwalior, Indian Mutiny, 20 June 1858, Lieutenant William Francis Frederick Waller, 25th Bombay Native Infantry. For great gallantry at the capture by storm of the fortress of Gwalior, on the 20th June 1858. He and Lieutenant Rose, who was killed, were the only Europeans present, and, with a mere handful of men, they attacked the fortress, climbed on the roof of a house, shot the gunners opposed to them, carried all before them, and took the fort, killing every man in it. William Waller was invested with his Victoria Cross by the GOC Bombay, Lieutenant-General Sir William Mansfield, in 1862. William Waller was commissioned on the 20th February 1857, became a Lieutenant on the 4th June 1858, and after being promoted Captain on 20th February 1869, transferred to the Political Department in the Sawunt Warre Local Corps. He spent the rest of his career in India with the Political Department. 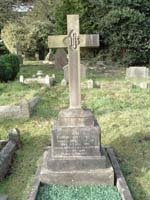 Waller travelled to England on leave in 1884 and died at his home in Bath on 20th January 1885 and was buried in the city's Locksbrook Cemetery.